Happy August 1 everybody! Two months passed that I haven't updated much on my blog and I'm hoping to have more free time to edit and check on my backlogs. I have a lot of stuffs to review but no time to do. Being a sales rep is quite busy that I have no time to check on my social media every day. Just today, I'm a little idle so I'm sharing to you the newest addition to my collection, the Colourpop Ultra Matte Lipstick in Bumble. 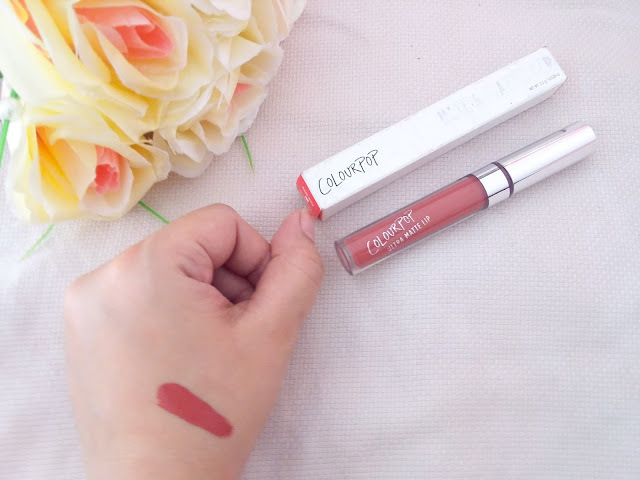 Did you know that Colourpop's makers is the same with the makers of Kylie's lip kit? That is why some Colourpop shades are nominated as dupes for the shades of Kylie lip kits. If you personally know me, I'm not a fan of red lipsticks. But I think I finally found my signature red lipstick. Matte lipsticks are my weakness. Especially if it's a liquid lipstick. Liquid lipsticks are so in, nowadays. I have tried another shade of Colourpop Ultra Matte lipstick in 1st base but the shade didn't suit me well. I bought this for P420 but price varies from different sellers. This is available at www.colourpop.com for $6 only but they do not ship outside USA yet, and I'm glad that my office mate sells one of these. I'm sure that this one is authentic based on my research of how to spot fake ones. As much as I want to compare the authentic to fake ones, I'm afraid to buy the fake. 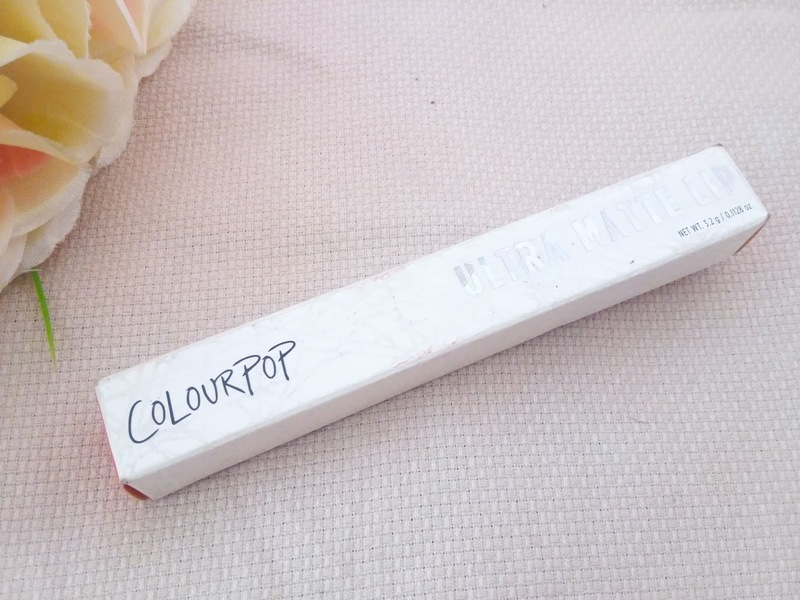 The liquid lipstick comes in a slim white box with holographic texts of Ultra Matte Lips on the other side, and a MADE WITH LOVE IN THE USA and the shade of the lipstick on both ends of the box. 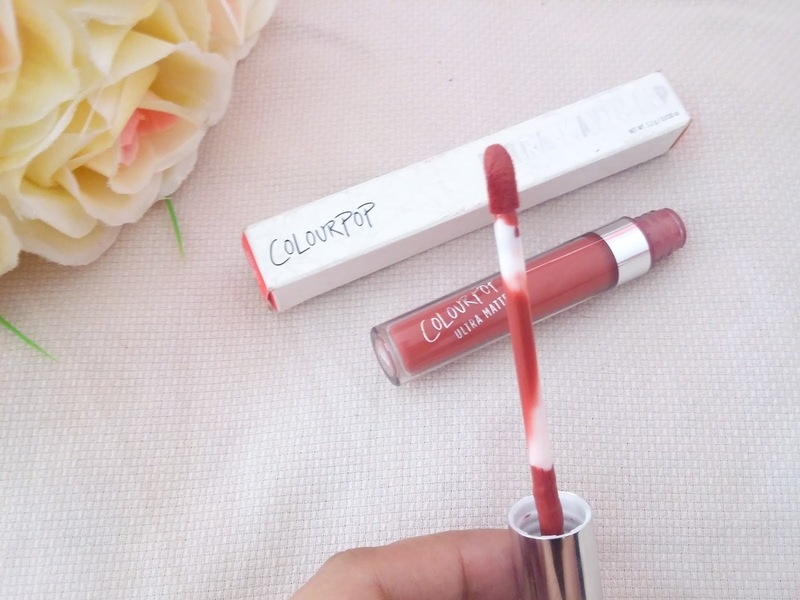 Inside the box comes with a slim posh tube with a silver cap (applicator), also with holographic text of "Colourpop Ultra Matte Lips". For me, the packaging doesn't look cheap at all. You would instantly think that this is a high-end brand. 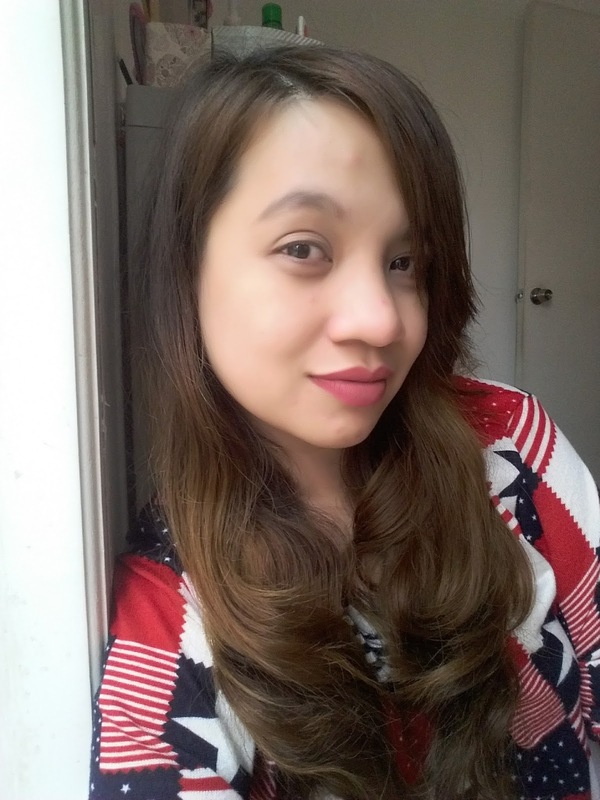 As usual, liquid lipsticks have this kind of applicator that easily glides and swipes on the lips. BUMBLE is in a red-maroon , warm rusty terracotta with matte finish. I love how it looks like on the lips. 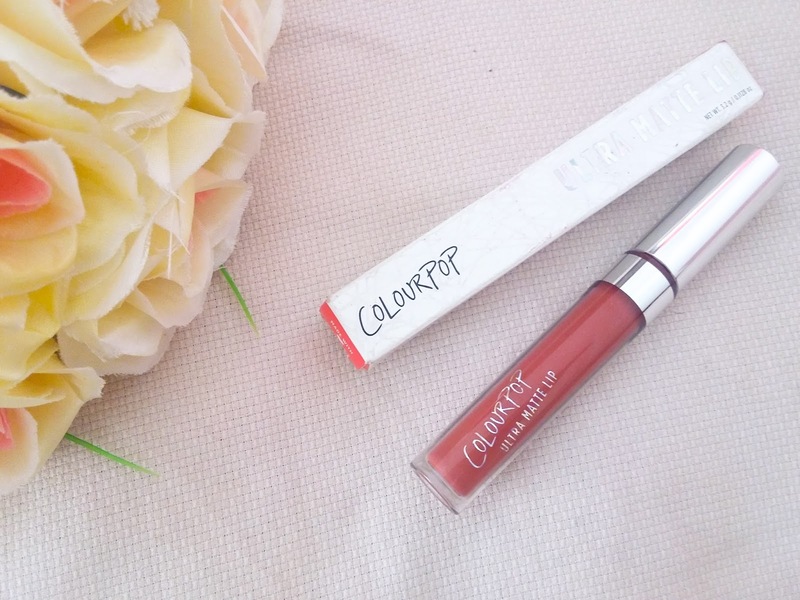 The liquid lipstick is very pigmented that at one swipe, you get the shade on your lips. I only put one layer since it's matte and it tends to dry and make my lips chapped if I double the layer. So before I apply the lipstick, I make sure I apply lip balm so that it doesn't dry up that much. It lasts for about 3-4 hours so you have to retouch as needed if you're going to stay longer outside the house. 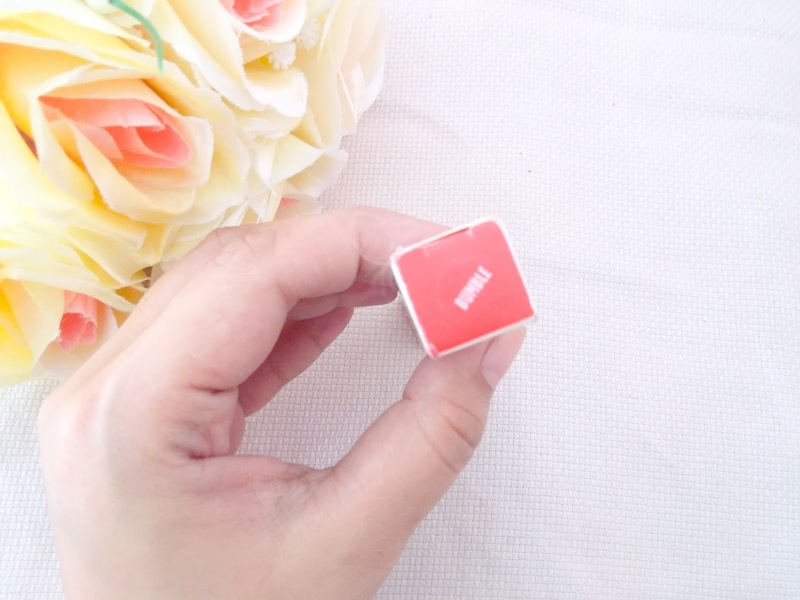 It claims to be kiss-proof, and it seriously is. It also doesn't stain on glasses when I drink. After brushing my teeth, the color doesn't totally fade on the lips, however, when you have a lot of contact with water, it will brush off.